In this post, I will answer display-related problems with the Sony Xperia C4 E5333. The issues I included here are from our readers. The first one is about the blank screen that started after the phone fell and hit the floor. Common sense would tell us the drop may have messed up the phone and we really don’t know the extent of the damage. If you encountered this kind of problem as well, read on to know what needs to be done. The display light is also referred to as backlight and is known to be one of the rarest problems that occur with Samsung Galaxy Note. 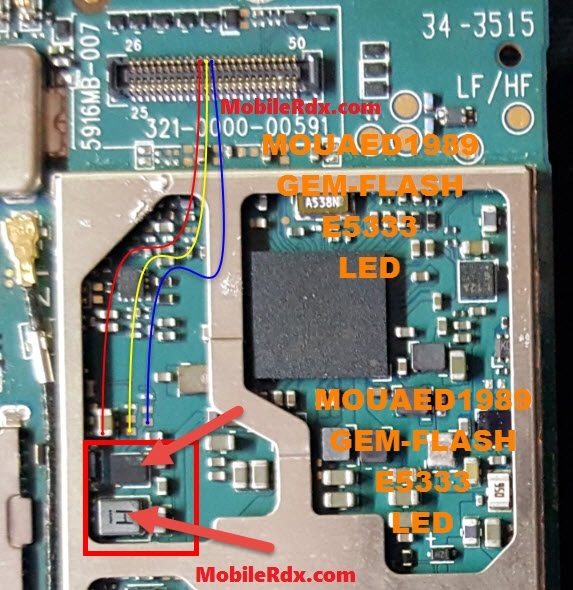 The very first thing that you need to do is to re-solder all the pins of Sony Xperia C4 E5333 Display onboard connector and check LCD screen. Now check both capacitors (Capacitor 1 and Capacitor 2) with their side’s first pin of display onboard connector. If any of them is faulty, replace them. Now Check Continuity between a +ve terminal of the battery with display IC’s first pin. If the above step fails then gently heat display IC and check if it still fails then change it. If everything fails then check with any other good and working LCD Screen. The above-mentioned steps will surely help you to resolve all of your Sony E5333 Display screen problems, hence allowing you to use your phone flawlessly without any trouble.